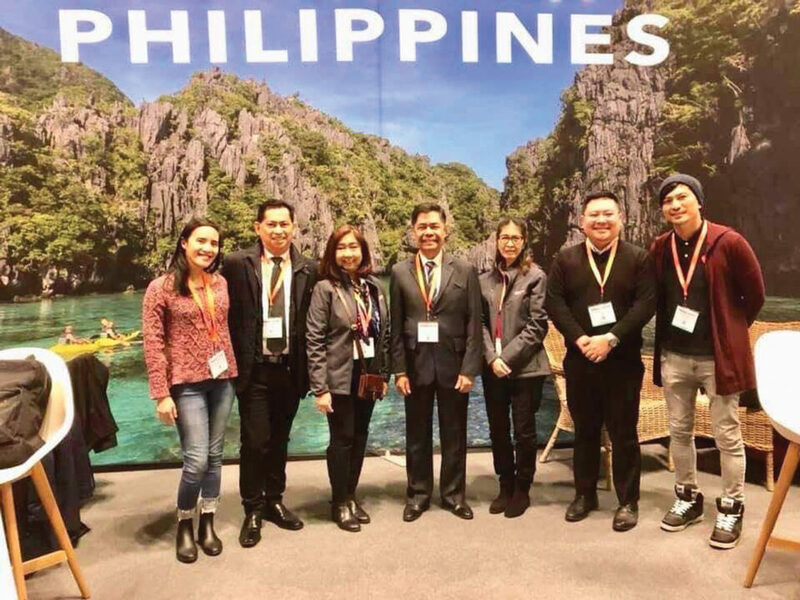 Consul General Claro Cristobal (center) visited the Philippine booth at the recently-concluded New York Times Travel Show. The country made a record 7.1 million tourist arrivals in 2018. Photo shows (from left) Charisse Rodriguez of Philippine Airlines, Joebert Opulencia of Orientours, DOT’s Susan del Mundo, Luz Navarro of DOT, PAL’s Josh Vasquez and Goldwyn Salazar. The Department of Tourism announced last week that 7,127,168 foreign tourists visited the Philippines last year, an all-time high in the country’s tourism industry. This was the great news that the local DOT officials heralded at the New York Times Travel Show held over the weekend at the Jacob Javits Convention Center in Manhattan. 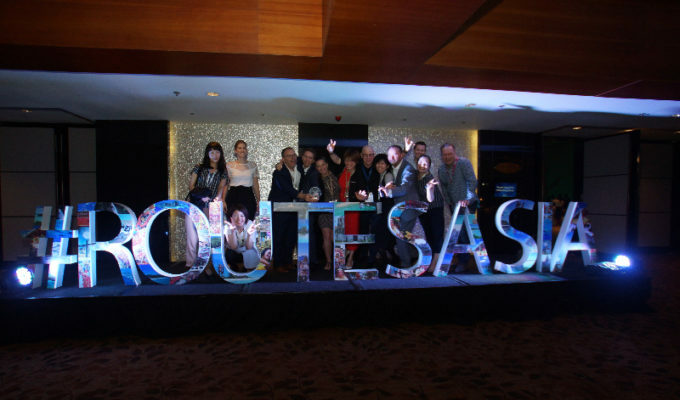 “In order to further accelerate and sustain the 7.1M tourist arrivals, the North American market on its part, which has garnered the top 3 in ranking, will focus on the strength of digital marketing,” said Tourism Attaché Susan del Mundo. 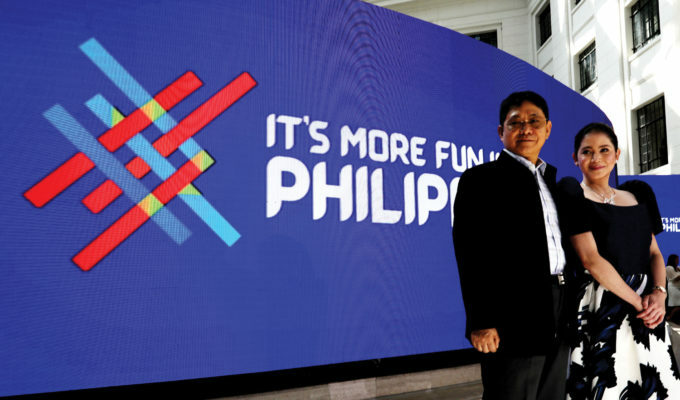 They plan to do this through enhanced collaborative tie-ups and partnerships with travel, trade and allied groups to strongly promote the tourism branding campaign, media and travel trade familiarization trips to the Philippines will be encouraged to obtain first-hand information on the country, according to Del Mundo. The 2018 tourist arrivals mark a 7.65 percent growth rate compared to the 6,620,908 in 2017. DOT Secretary Bernadette Romulo-Puyat announced the news at the National Tourism Development Plan (NTDP) 2016-2022 midterm assessment attended by DOT officials, tourism stakeholders and partners from the private sector. “We have exceeded many of the NTDP targets, from our sector’s contribution to the Gross Domestic Product or GDP, to our domestic arrivals. So I encourage all of you here to give your take in setting new industry goals,” Puyat told the audience. The historic milestone happened in a year where the department hogged the headlines, particularly with the change in leadership and the controversial six-month shutdown of Boracay, one of the country’s flagship destinations. 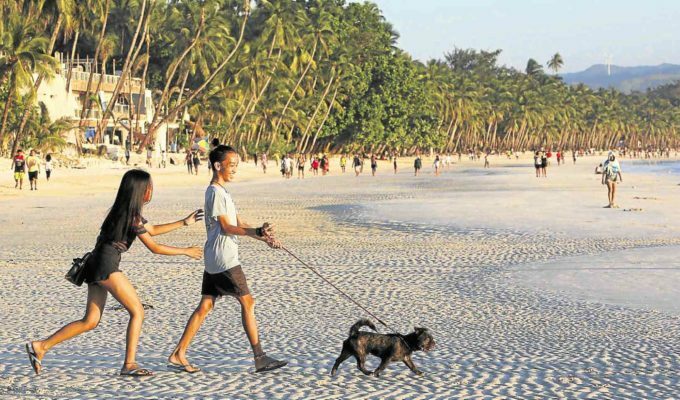 “The challenging act of closing down Boracay – a flagship destination, the country’s top sun-and-beach destination has evidently become a blessing in disguise for secondary tourism spots to have a share of the limelight and attention they truly deserve,” Puyat said. 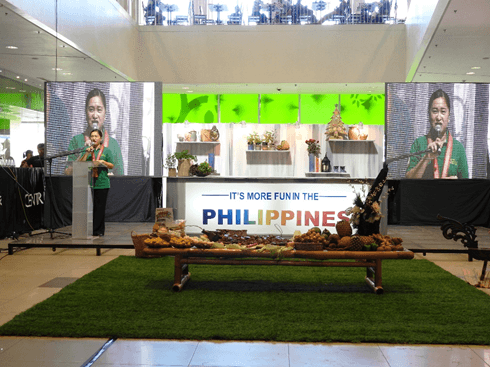 Del Mundo said that there are indeed more places in the Philippines with high tourism potentials to showcase and promote such as Bohol, Negros, Siquijor, Cordilleras, Batanes, Bicol, Ilocos, Davao, Surigao, among others. Opulencia agrees, but with a caveat. “We must only promote the areas that have facilities that work, like hospitals, and the government must provide incentives to locals so they themselves can keep their places clean and in order,” he said. South Korea remained the country’s top source market with 1,587,959 visitors, followed by China, which recorded 1,255,258 arrivals, the most improved market recording a 29.62 percent growth rate. 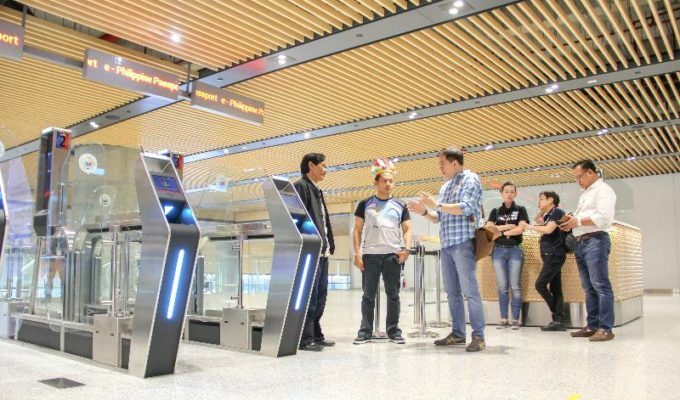 There were 1,034,396 visitor arrivals from the United States, which remained at third. Japan and Australia complete the top five markets with 631,801, and 279,821 arrivals respectively. Completing the top twelve markets are Taiwan, 240,842; Canada, 226,429; United Kingdom, 201,039; Singapore, 171,795; and Malaysia, 145,242, with  India, 121,124, and Hongkong, 117,984 just outside the Top 10. The department said that the country’s tourism growth rate has outdone the world average tourism growth and average growth for Asia and the Pacific of 6 percent as identified by the United Nations World Tourism Organization’s World Tourism Barometer. 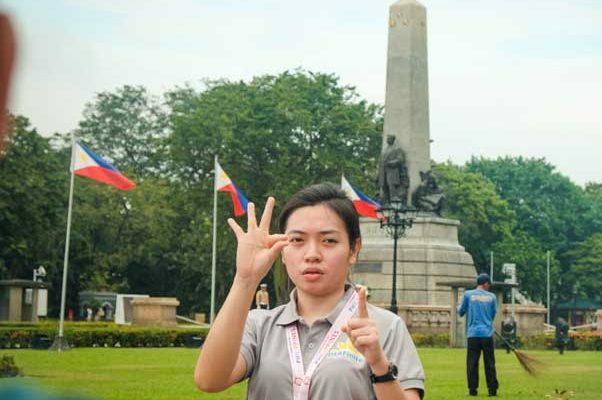 For now, DOT officers are making sure that its programs are more competitive, inclusive and sustainable. “In terms of product offerings — beach holidays, nature and adventure, heritage and history, dive, culinary, pilgrimage, lifestyle & shopping. The department will also provide further push on MICE (meetings, incentives, conventions, & exhibitions/events),” Del Mundo added.